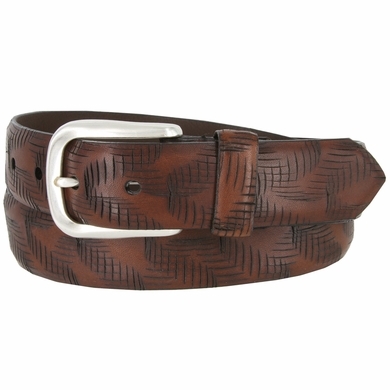 18272 Criss Cross Pattern Style Italian Saddle Leather Casual Dress Belt. 1-3/8" = 35mm wide Italian Saddle Leather Belt. Stitched Antiqued Nickel Plated Belt Buckle and a Matching Leather Keeper.